Body hair is every woman’s worst enemy. You have to removeit regularly, especially during the summer. 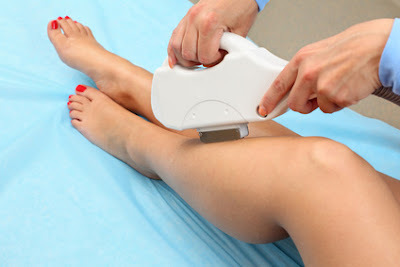 There are various methods of hair removal which can be expensive, tedious, and painful and we still do it. Of course, not every woman prefers the same method, and that’s why you should try out several different ones in order to find the one that best suits you. Even though waxing is one of the most painful hair removal options, it lasts longer since you are removing pesky hair from the root. The process is really simple, you just apply wax to your skin, it sticks to the hair and you quickly pull off the strip along with the hair. This method is perfect for removing hair from larger areas, such as your legs, but it’s used for smaller areas too. If you’re waxing for the first time, it will definitely hurt, but as time goes by and you master this technique it will hurt less, the hair will become scarce and you can even find the way of making this less painful. Laser hair removal procedure is a method that destroys the root of the hair by using light. It promises long-term results and it’s perfect for women with dark hair and light skin. In order to succeed with this method, you will have to take 6 to 12 sessions of laser hair removal. Additionally, thanks to the advanced technology, you can even complete these sessions at home. Even though this method of hair removal is less painful than waxing, it does hurt a bit. It’s usually compared to a rubber band snapping against your skin, but the levelof pain really depends on your pain threshold. Shaving might be one of the painless options, but it certainly is not as efficient as the others. You are probably familiar with shaving and you know it just cuts off the hair at skin level. It doesn’t last very long, but it’s a quick fix if you’re in a hurry. This method works on any skin type or area, but watch out for the ingrown hair (especially in the pubic region). Also, you have to make sure not to cut yourself, since the cut itself could lead to serious infections. Use proper shaving cream or oils and use a sharp new blade. Avoid using rusty old razors. Using depilatory creams is another quick solution which actually dissolves the hair. However, since the hair is not removed from the root, it will start growing back in one to three days. Typically, you smear a thick layer of the chosen depilatory cream on the desired area and wait. After a few minutes, you wipe it off. Unfortunately, this method doesn’t always work, especially if you have strong hair. Nevertheless, using depilatory cream can weaken the hair which makes them easier to pluck or remove with wax. Every woman has probably tried each one of these methods. Some work better than the others, but may hurt more. Depending on your skin sensitivity and thickness of your hair, choose your hair removal method wisely, since we are all bound to remove them for the rest of our lives.